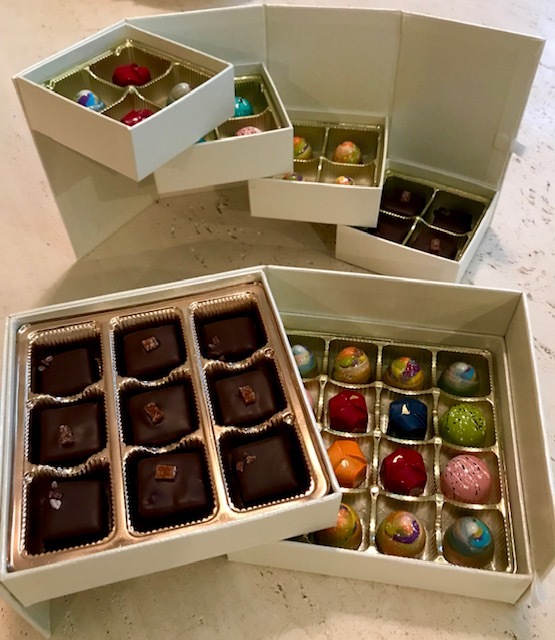 This is the perfect chocolate subscription box to get a taste of our uniquely delicious chocolate bars bonbons, truffles and many new developing flavors that draws in exotic spices and flavors from around the globe. As with all of our subscription levels, we include a monthly letter with every shipment that includes pairing recommendations, and explanations of rare or uncommon ingredients. All of the goodies in our monthly chocolate subscription boxes are crafted in small batches with care & integrity in Southern California.